BEER SHEVA (Jan. 9, 2013) — Welcome to Israel 2013: According to the Ministry of Environmental Protection, in Israel 2013, 800 people die each year due to air pollution. In Israel 2013, half a million Israelis, largely Arab citizens, live without basic sewage infrastructure. Israel circa 2013 is the heaviest pesticide user in the countries of the Organisation for Economic Co-operation and Development. Some 100 chemicals. a third of them prohibited in Europe, can be found on our fruits and vegetables. Even as the environmental ministry invested heavily in a public-relations campaign promoting recycling, more than 80 percent of Israel’s trash is still buried in dumps, two decades after much of Europe reached 80 percent recycling levels. In Israel 2013, biodiversity is collapsing everywhere with more than a third of indigenous mammals critically endangered or threatened. Some of the most lovely, historic vistas are giving way to development and sprawl. This discouraging laundry list of ecological hazards should leave even the sanguine among us concerned that the Jewish state is not doing enough to protect the Promised Land. At a time when Europe has made unprecedented strides forward on a range of environmental issues, Israel remains a polluted country. It’s particularly disturbing when one considers that the present environmental minister, Gilad Erdan, is a smart, articulate politician who is genuinely committed to environmental protection. How is it then that in terms of actual results, we have witnessed an unmistakable policy failure? It would seem that there are several reasons for Erdan’s failed performance, but the most compelling explanation involves politics. The Likud party under Bibi Netanyahu remains a party that is particularly obtuse to Israel’s environmental problems. And the Netanyahu government has in fact adopted a range of policies that are causing enormous harm to the environment. With the full support of his Labor partners, Netanyahu’s government pushed through the privatization of Israel’s public lands, reversing a 64-year commitment to preserving the commons for the public good. The Netanyahu government obsessively promotes a “reform” to Israel’s Planning and Building law that essentially removes critical environmental safeguards. Erdan’s efforts of protest were ignored. Renewable energy is another example: After the United Nations convened global leaders in Copenhagen in 2009 to address global climate change, President Shimon Peres proclaimed to the world that Israel would reduce its greenhouse-gas emissions by 20 percent. In fact, government policies have led the country in the opposite direction, approving a new fossil-fuel-fired power plant in Ashkelon, offering few incentives to conserve energy and permitting Israel’s emissions to continue spiraling upward. Erdan could only shrug his shoulders in frustration. The past year was a record year for installation of solar panels in the “sunny” lands of Germany and England. Germany already attains 26 percent of its electricity from renewables, but it is still far behind Denmark whose government is pushing towards its new 50-percent renewable objective. By way of contrast, less than one percent of Israel’s electricity comes from renewable energy. A country that in the 1970s captured international attention by requiring solar water heaters on rooftops has, ever since, opted for a path of least resistance, myopia and public cupidity in energy policy. Two years ago, the Netanyahu government made a festive and self-congratulatory decision to cancel a holiday village that would have ruined the Palmachim beach, one of central Israel’s last natural coastal refuges. And yet, follow-up was non-existent. The government was unwilling to pay modest compensation to the developers who are now resubmitting their plans for development on the beach to planning authorities. The Nitzanim coastal park — the last major stretch of beach on Israel’s Mediterranean coast — was saved by Prime Minister Ariel Sharon due to heavy lobbying by his son Omri. Yet, last month, the government’s southern district planning commission approved a new industrial area for Ashdod on a critical chunk of habitat in the park. And the Jerusalem Forest will be decimated if the government continues to push for a major highway intersection covering the scenic Revida stream. Of course it could be otherwise. In many countries, environmental protection constitutes one of the great public-policy triumphs of the past 50 years. Around the world, governments have shown that trend need not be destiny. Israel also could lighten its ecological footprint and bring a blessing to the Holy Land much as Zionist visionaries imagined a century ago. But it requires political will. During 2012, as head of Israel’s Green Movement party, I met with heads and senior representatives of Israel’s leading center and left p arties and found an astonishing lack of interest in integrating a green agenda into their parties’ platforms and operational priorities. Labor party head Shelly Yachimovich’s indifference to green issues was particularly disappointing. Tzipi Livni proved to be entirely different, having made a strategic decision to establish HaTnua with environmental protection as one of her new party’s four central priorities. Her personal commitment allowed the Green Movement to join forces as an independent faction and lead an ambitious, professional vision of a sustainable Israel. There are, of course, other environmental heroes in Israel’s Knesset. 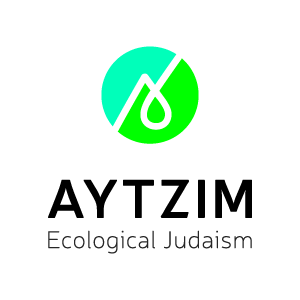 Communist MK Dov Hanin from Hadash has been an effective legislator; Yahadut HaTorah, Haredi Rabbi Moshe Gafni has been a champion of environmental causes for many years; journalist Nitsan Horowitz of Meretz also has been an eloquent advocate for green causes. But none of their parties has embraced a full green program and made an institutional commitment to prioritize the environment in their domestic work. For the 31 percent of Israelis who still are reportedly deliberating over which party to vote for in the upcoming elections, picking a party committed to public health and environmental protection is something worth considering. "Trees and plants have a language of their own." Hundreds of miles of bike paths have been built across Israel because of the work of the Green Zionist Alliance.